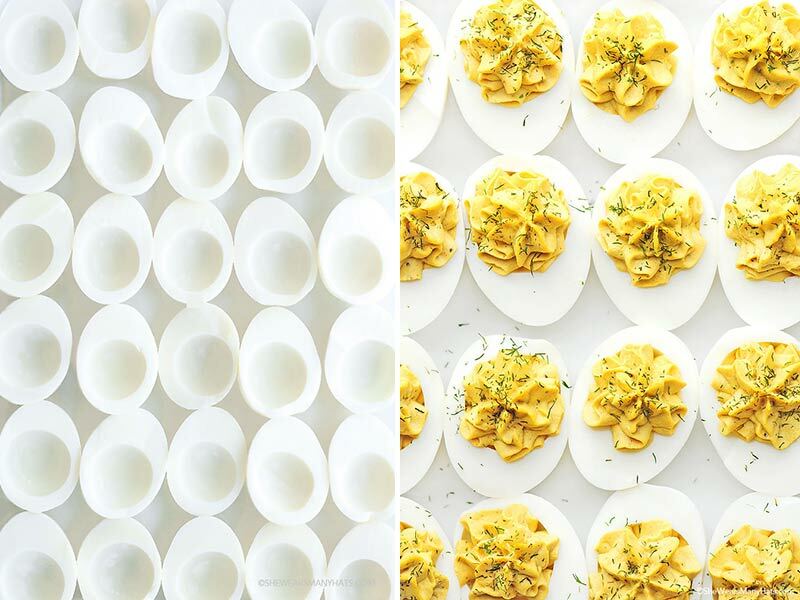 Sure, eggs might look deceivingly beige but they’re ANYTHING but boring. Here’s 15 packed-with-favour ideas to use eggs. Go on, give ’em a crack! A terrific source of protein, eggs are not only good for binding in cooking, they can EASILY steal the mealtime show. 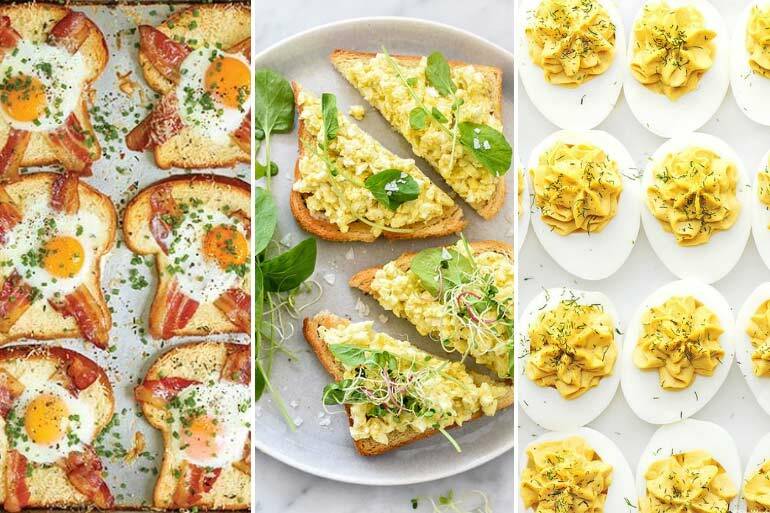 Whether you might own chickens and needs to move a glut of eggs or you’re just looking to use that last half dozen thats hanging around the fridge, here’s 15 ideas to use eggs and let them shine! 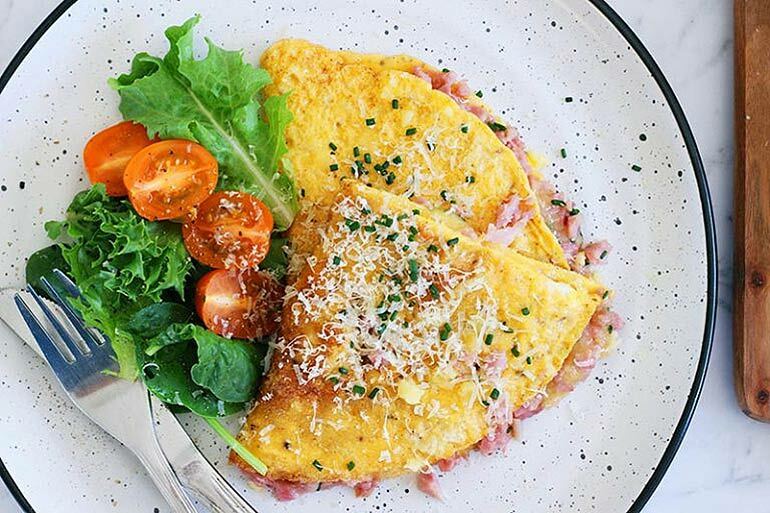 Perfect for breakfast, brunch, lunch AND dinner – let’s get cracking! The easiest and most delicious idea for using eggs! 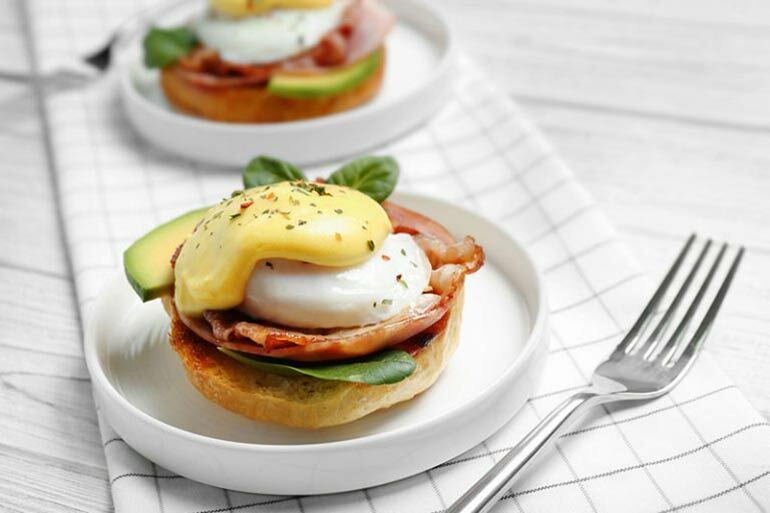 Not strictly for weekend breakfasts of eggs Benny, hollandaise sauce is just as delicious poured (generously, of course) over vegetables. Any excuse for a sauce full of buttery, eggy goodness – am I right? My go-to breakfast every other day, scrambled eggs. 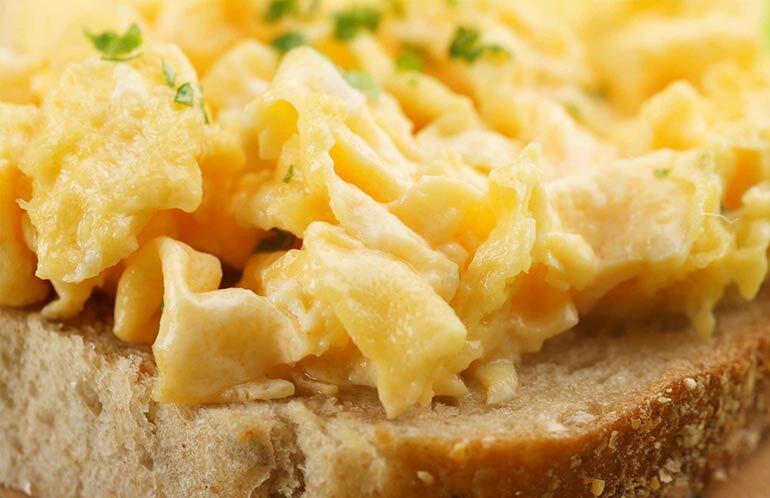 Make this fuss free creamy scrambled eggs recipe or fancy it up with scrambled feta eggs. Either way – eggcellent choice! Love capsicum and a touch of spice? 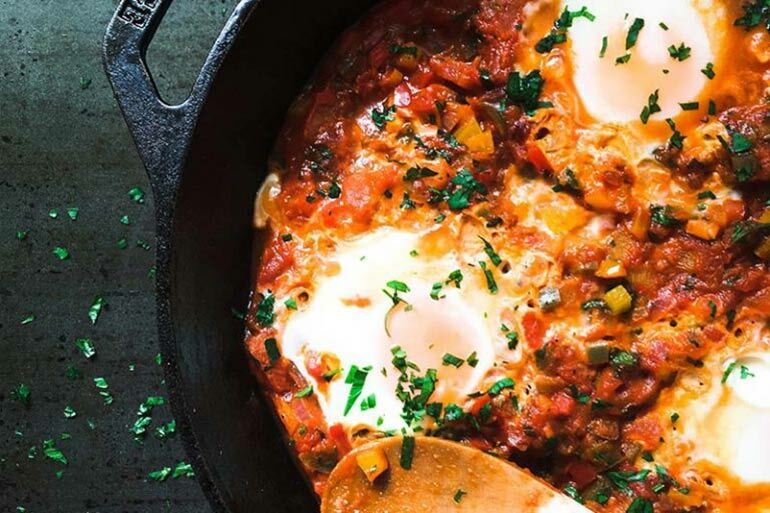 Shakshuka eggs will be right up your alley! A one pan wonder, these are delicious served on toasted sour dough bread. Ideas to use eggs? Think omelettes! Quick to cook and filled with all of your favourite things (ham! cheese! 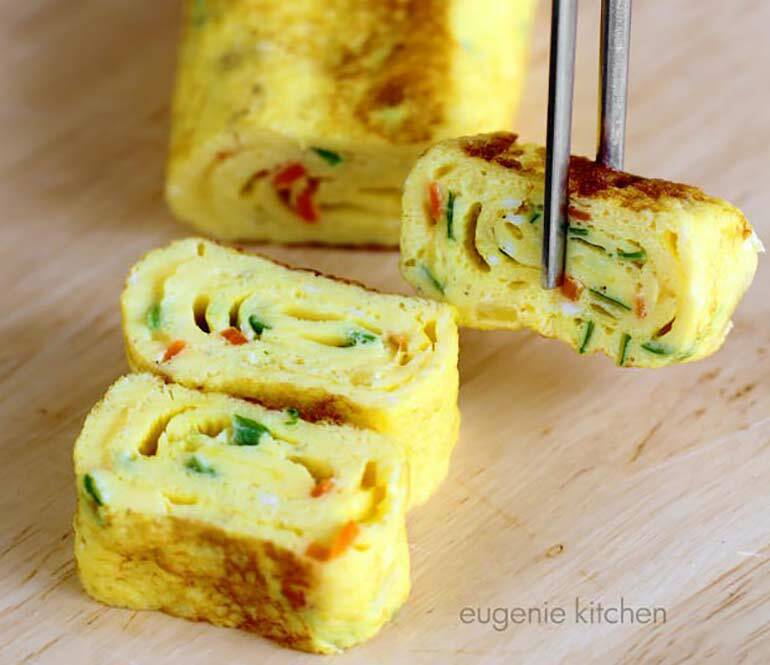 ), omelettes are great for sneaking extra veggies into unsuspecting kids. An excellent choice for lunch of dinner, quiche is always well received! Keep it simple with bacon and onion, or add some zucchini and capsicum for good measure. Yum! Friday frittata day! 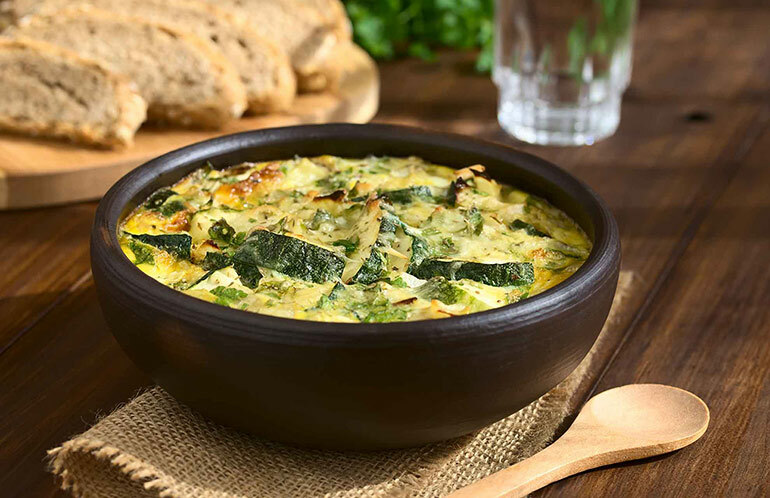 Awesome for using the odds and ends of vegetables in the fridge crisper, this cheesy zucchini and spinach frittata comes up a treat. 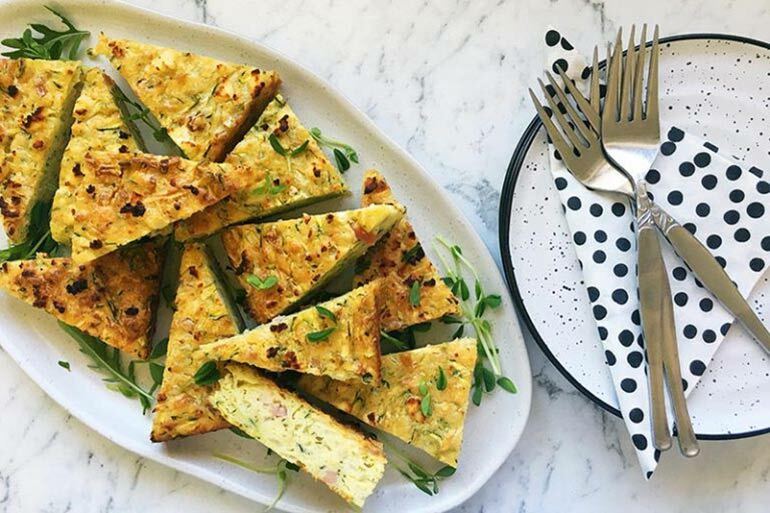 Ideal for the lunch box, zucchini slice will use five eggs from the fridge with little effort! 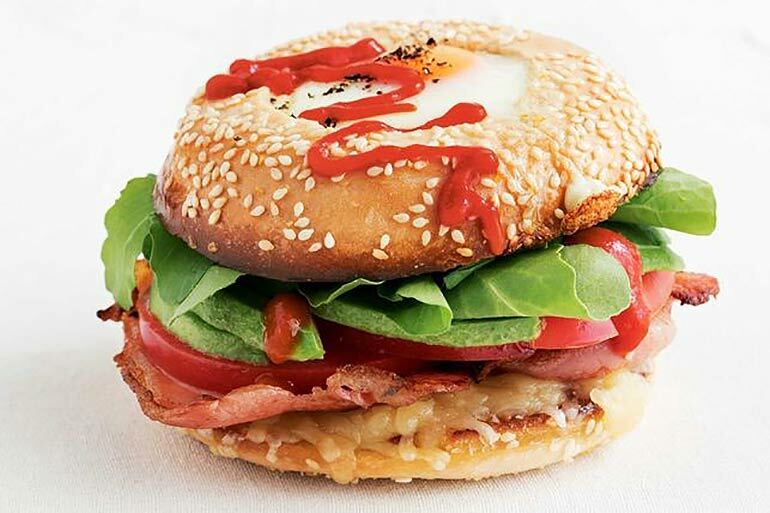 Make use of that bagel hole by using it as an egg support! I mean, so clever – and so very delicious. See how it’s done over at Taste. Who doesn’t love a bacon and egg roll? Combining two magnificent breakfasts in one, The Pioneer Lady‘s eggs in hash brown nests is fantastic for feeding a crowd. 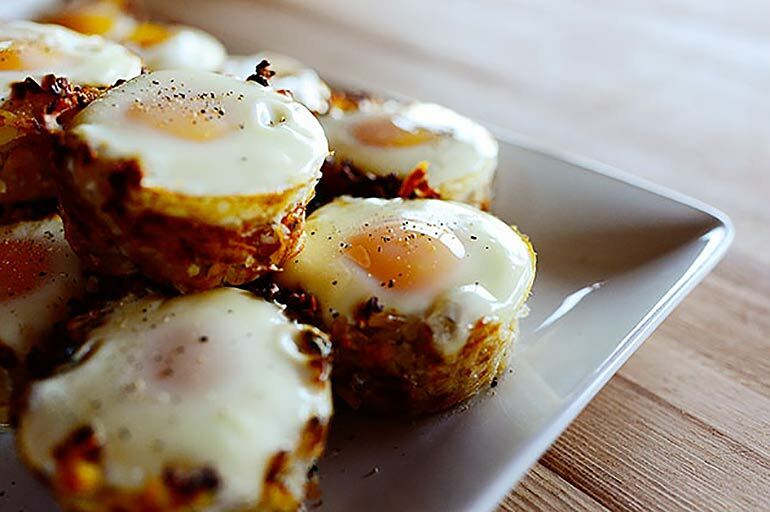 Crunchy potato and gooey egg – the best! 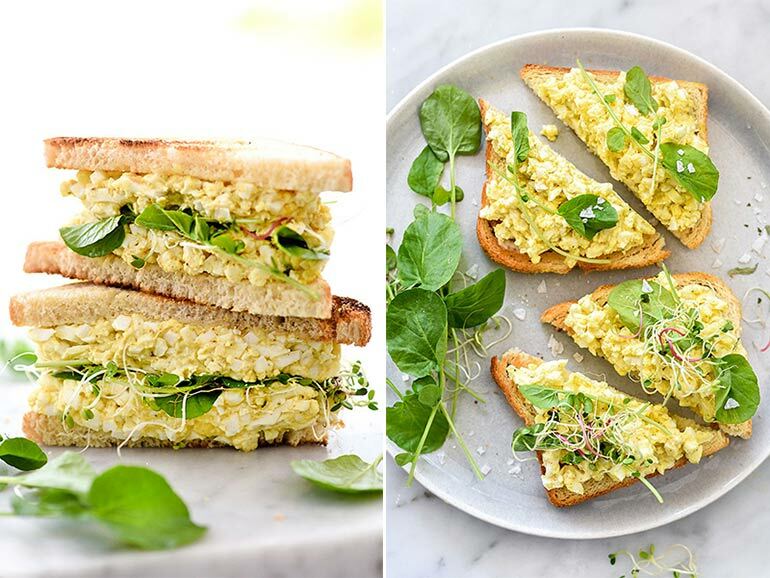 Drool-worthy curried egg sangas. Curried egg sandwiches are the unsung heroes of the sandwich world. Delicious, soft and the flavour is oh so right. If it’s been a while, Foodie Crush is here to refresh your curry loving memory. 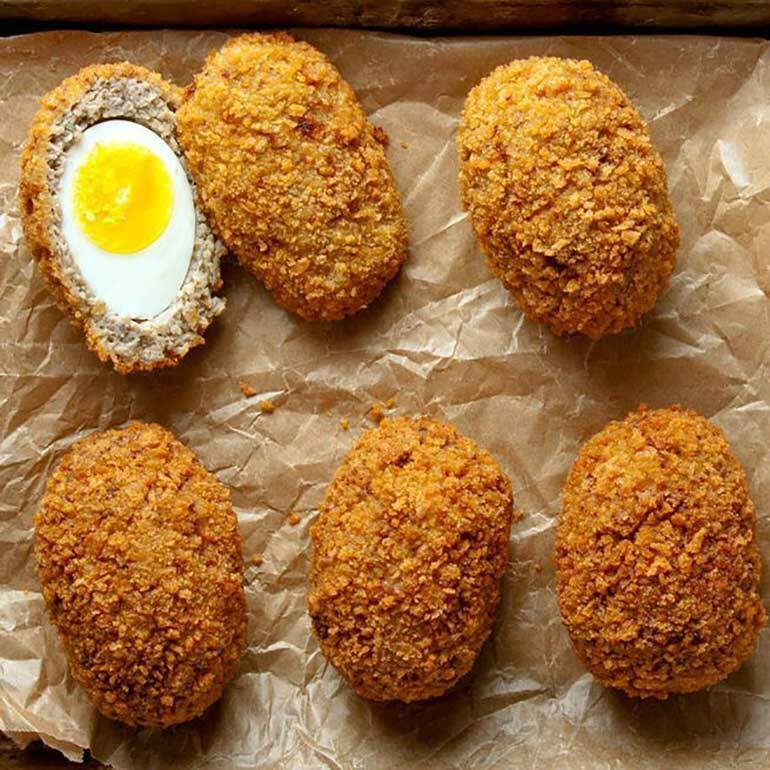 Fancy yourself a Scotch egg picnic treat? Packed with protein, this sausage wrapped egg is a must-try. Saveur‘s Scotch egg recipe looks the goods to get you packing them on your next picnic (even if it’s just out in the backyard). 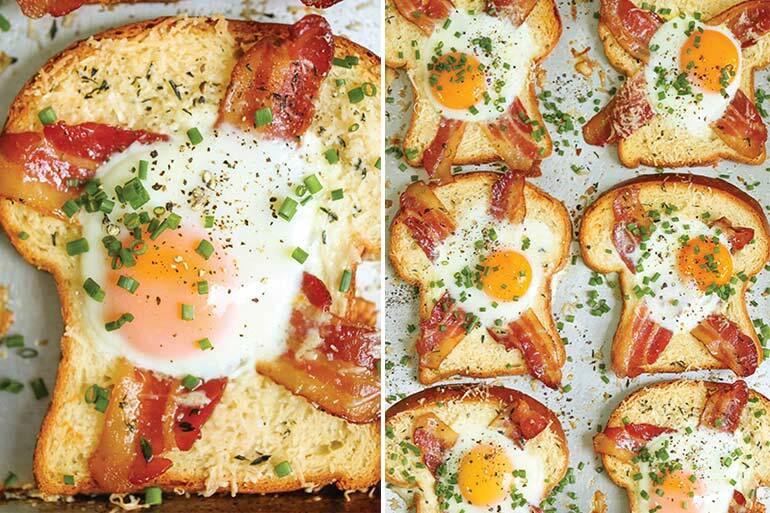 Which camp are you – egg in a hole or toad in a hole? Either way, Damn Delicious shows how to master the technique to feed many, all at once. 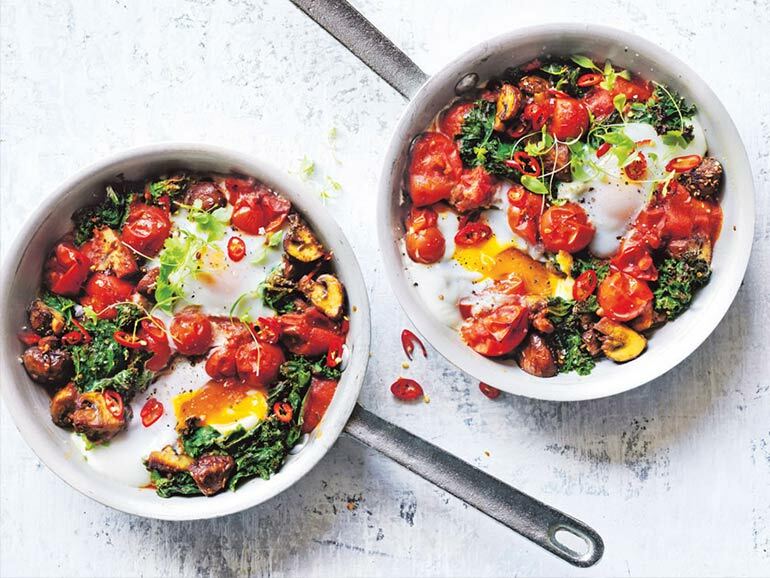 If you love to spice up your eggs, this spiced mushroom and tomato baked egg dish from Donna Hay looks like perfect Sunday brunch fare to me. Not a fan of kale? Swap it out for spinach leaves instead! I don’t even care if anyone taunts that devilled eggs are flashback to the 1970s. Creamy, finger licking, mustard filled eggs know NO TIME BARRIERS people. Check out She Wears Many Hats for her perfect devilled egg recipe. What an out of the box idea to use eggs? Feeling fancy? With just a handful of ingredients you could make your very own egg rolls! Find out how with Eugenie Kitchen. 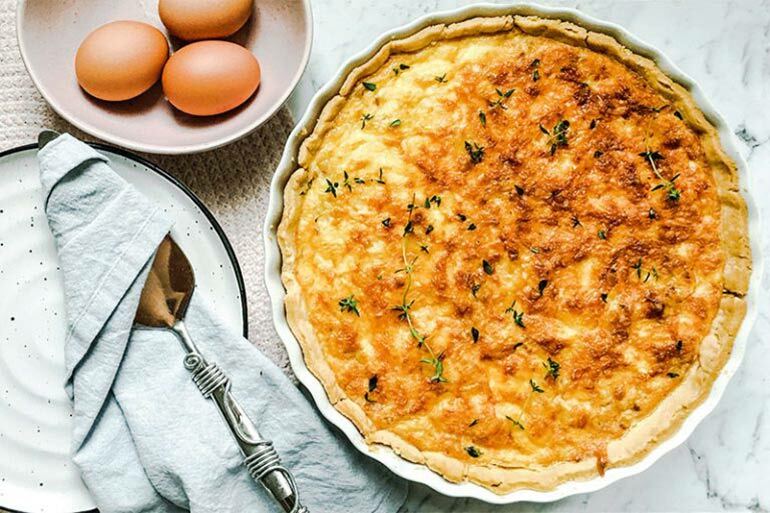 For more eggciting egg ideas, be sure to see our How To Boil An Egg Perfectly Every Time AND a very cool Pie Maker Poached Egg Hack. If you’ve got eggs to spare, try our awesome slow cooker pavlova recipe! Have we missed any other ideas to use eggs? Share them with us below!